Misty has been so kind as to let me do some explaining here on her blog. I thank her for that. She's such a good friend to all of us. I have deleted my blog. The reasons for doing this are personal. (Aw man.. I can't write this without crying.) I will surely miss all of you .. and I mean this from the bottom of my heart. I have also deleted my Heads Or Tails blog. I will try to reinstate HoT as soon as possible.. maybe in a week or so. I'll probably do a regular blog again, too. You know I can't stay away forever. Until then.. take care and God bless each and every one of you. We have all loved and enjoyed your blog. It has made us laugh; it has made us think; it has made us have fun; and has made us cry and feel emotion... Behind every great blog is a fantastic blogger - but, even more... a fantastic person... that's what you are - a fantastic person! Me too. I'll miss you. But take all the time you need. 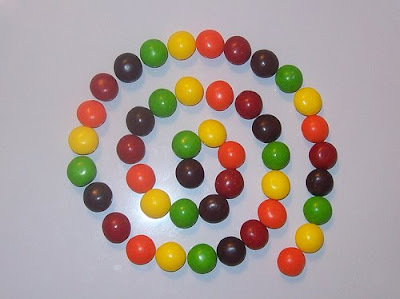 Misty - You are not only a great friend to Skittles, but also to all of me. Aw, I hope whatever Barb is going through that she'll be ok. Thanks Misty - and to Skittles too - for the explanation about Barb's blog. When I went there earlier this evening and that message popped up that the blog had been taken down, it really set off a lot of alarm bells in my mind. I even e-mailed her a little while ago too - before I came down through my list on my reader and read the post here. See Barb - lots and lots of us here love you, your blog, your ideas, your sense of humor but we also understand when things maybe get out of hand and overwhelming too. The important thing - just get yourself -your own house, as it were - in order and then, come back whenever you are up to it. You could, of course, drop an e-mail now and again to let us know you're ok. OKAY? Peace! Thinking of you SKittles. Take care and hope to see you back again soon. Barb--I hope all is okay with you. I will miss reading your thoughts each day and I hope that you will be back soon. Please take care of yourself. Thanks Misty for letting Skittles share here. I echo everything Misty said about what your blog has done for us Skittles. I just want you to know I am praying for whatever happened that you felt the need to do this. And I will patiently await the return of HorT and your new blog! Take care. And if you need to talk, feel free to email me privately. I'm very sorry about Skittles and her blog. I've visited Skittles periodically and loved her posts and her upbeat attitude. Come back Barb, when you're feeling better. Misty, you're such a great friend for posting this for Barb. Barb, you will be missed! But your personal life takes precedence over the blog. I hope you know we'll all be thinking of you and hope things will be better soon. The idea of actually deleting a blog makes me break out into a cold sweat. Just saying. Misty - so kind of you to allow Barb to post a goodbye here. Barb - We'll miss you, and hope that whatever is going on in life works out the way you need and want it to. thanks Misty for posting this. I went to skittles place early this morn and got worried. I hope all the best for you skittles (always loved that name) and I'll be looking for you. Misty - you're a wonderful friend. Barb - your blog is missed. You are missed, but I know you are doing what you need to do. You take care! I knew it wouldn't be long before she did this. She better let us know if she decides to come back.